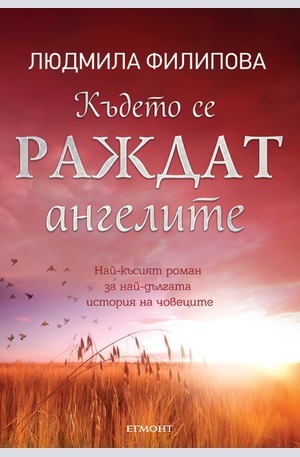 “Където се раждат ангелите” от Людмила Филипова е историята на последните хора, през времето и пространството, за да открият отново своята изгубена надежда. А Момчето-последното продължение на човешкия род, възражда вярата си чрез случайно намерена снимка-огледална картина на една възможна реалност. Това е роман-импресия. Вълнуваща плетеница от фантастика и исторически истини, която очертава цикъла на човешката раса и кръговрата на света. 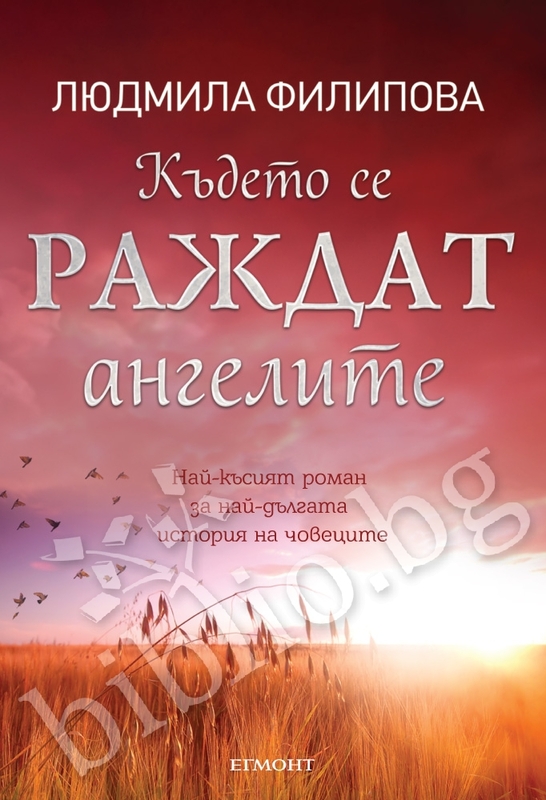 The Eye of the Sky or Where Angels Are Born By LUDMILA FILIPOVA, is a luxury, bilingual edition, with color illustrations. Facts show that thousands of years ago, the first people with blue eyes appeared on earth. They were considered angels, gods or even aliens. The universe is as mysterious and infinite as the human soul. And the soul is precisely the place where the meaning of all existence is preserved. The Eye of the Sky is the story of the last surviving people, who travel through time and space to rediscover their lost hope. The Boy, the last descendant of the human race, revives his faith through a picture he chances upon – a mirror-image of a possible reality. 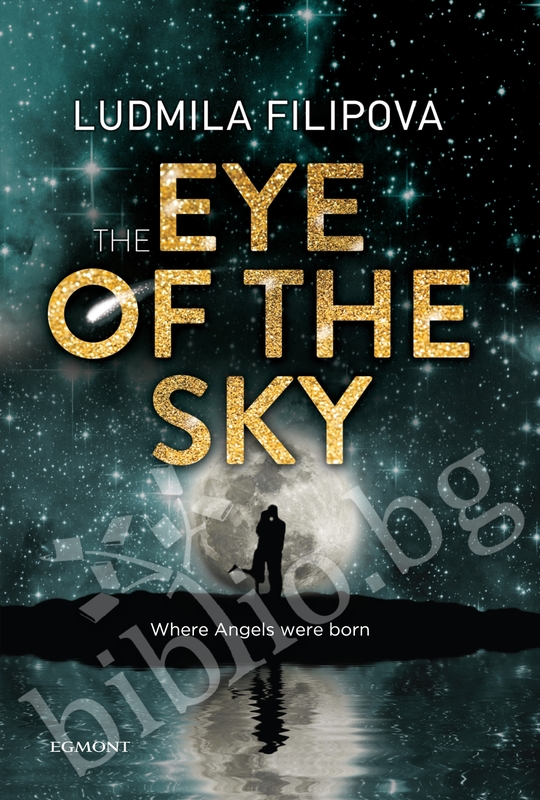 The Eye of the Sky is the shortest novel about the longest story in human history, which tells of the end and the beginning of the world, about those moments when people get lost in their hopes. A metal capsule the size of an apartment building is floating through the infinite space of the universe and through the dangers it hides. Inside it live the last remaining people. They pass through time and matter, looking for a new world and salvation. But overwhelmed by creeping despair and unable to recall what lies behind the word “day,” they slowly lose track of the meaning of their existence. A boy – the only child among them – collects precious moments and manages to keep his hope alive in a mysterious drawing – a window towards the future past. And if “Wanting is something to be pursued and never attained, because beyond that it’s only dark matter,” then where will the light come from? That moment from the future reaches its past – the last people, locked up in their hopes, find a planet and discover the truth, hidden within the universe’s greatest secret – the eternal return!... Everything ends where it began. The facts woven into the novel, which speak of the appearance of the first people with blue eyes, who in the distant past were considered angels or aliens, make the story even more suspenseful. 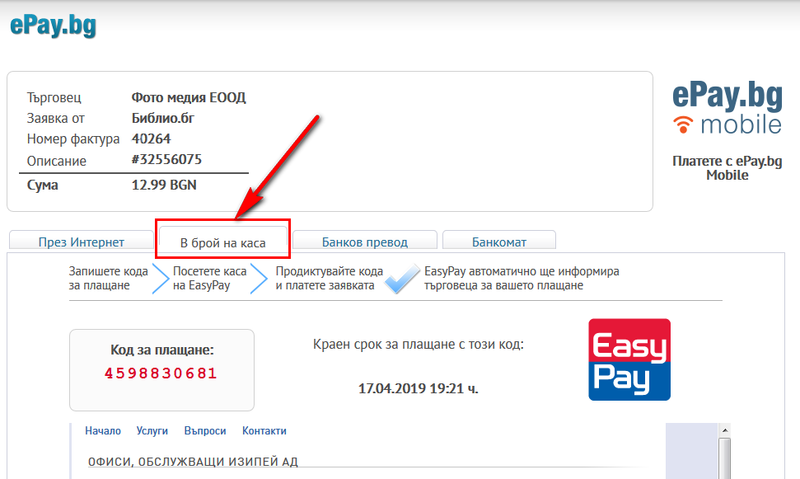 Благодарим Ви, че решихте да споделите с нас вашето мнение за "Където се раждат ангелите".